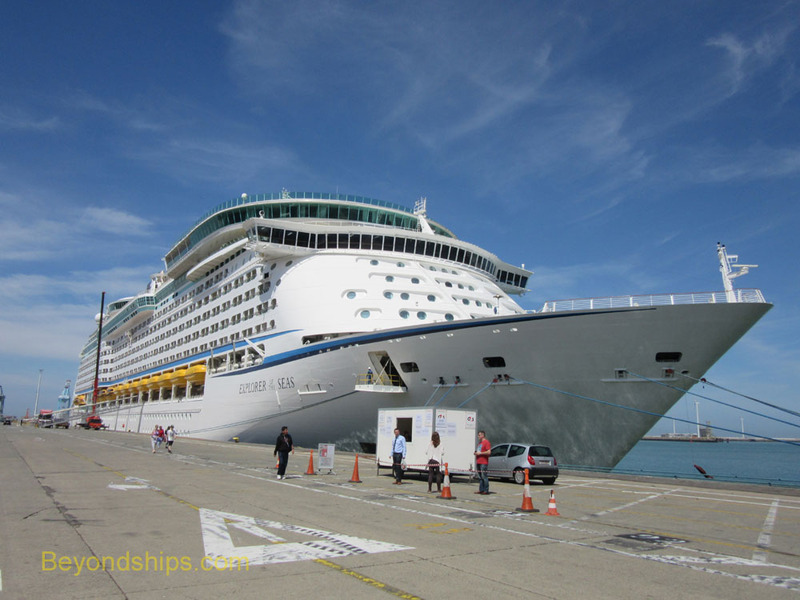 Zeebrugge is the most active cruise port in Belgium. Ships from Cunard Line, MSC Cruises, Princess Cruises and Royal Caribbean International are frequent visitors. 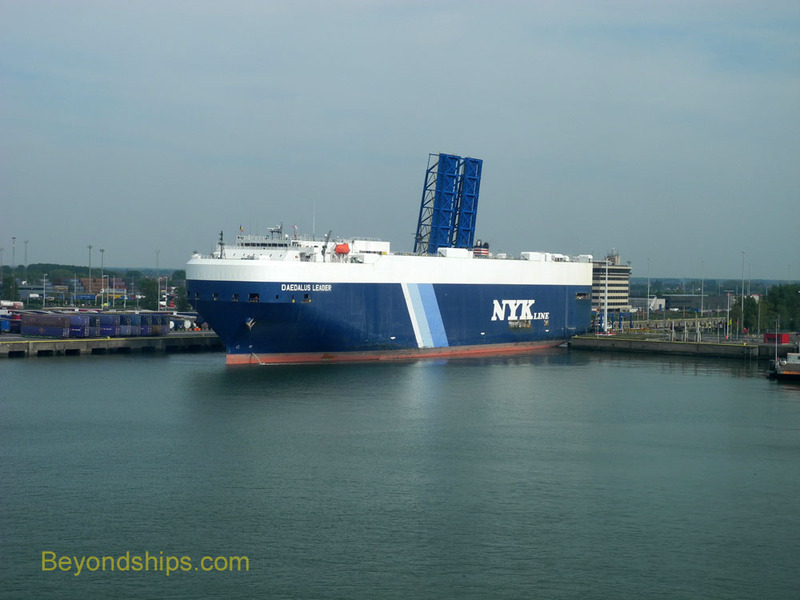 It is a very convenient port of call for short cruises out of Southampton, Harwich and Dover. Located on the northwest coast of Belgium, the port is of relatively recent vintage. It was constructed in 1907. During World War I, the port was captured by the Germans and used as a U-Boat base. The British made an amphibious raid in April 1918 in an effort to end its use as a submarine base but the attack was largely unsuccessful. 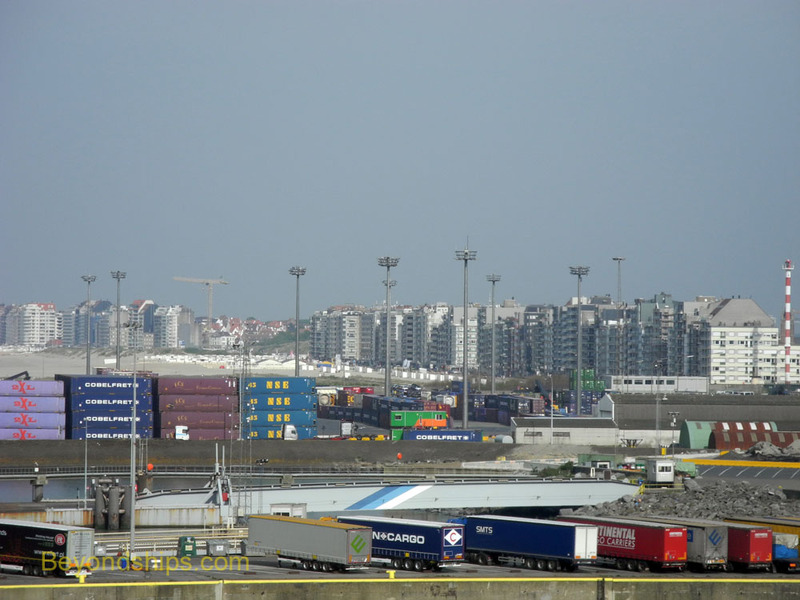 Since then, Zeebrugge has grown to be a large commercial port. 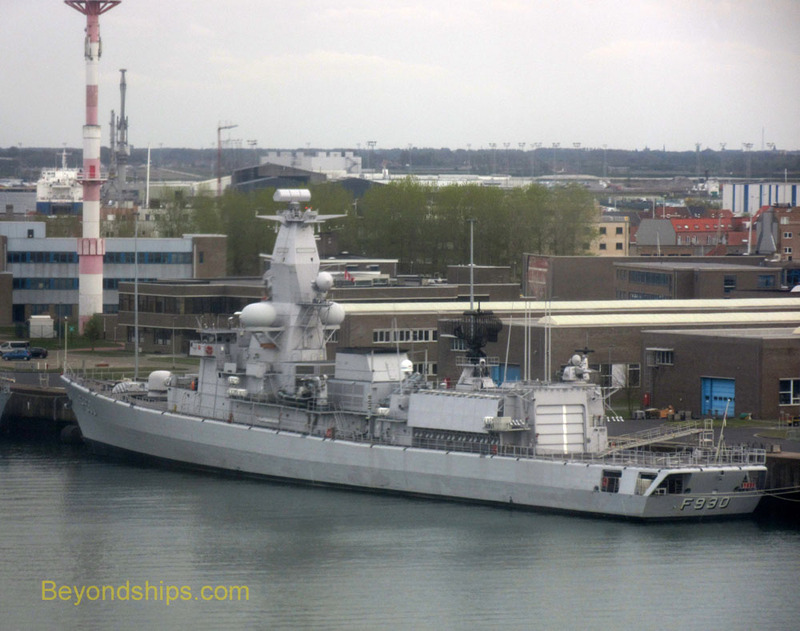 In addition to cruise ships, it hosts ferries, cargo ships and military ships. It is the largest port in Europe for the import and export of new vehicles. It also has the largest LNG (liquefied natural gas) terminal in Europe. There are also alternative energy windmills along one of the outer sea walls that define the boundary of the harbor. 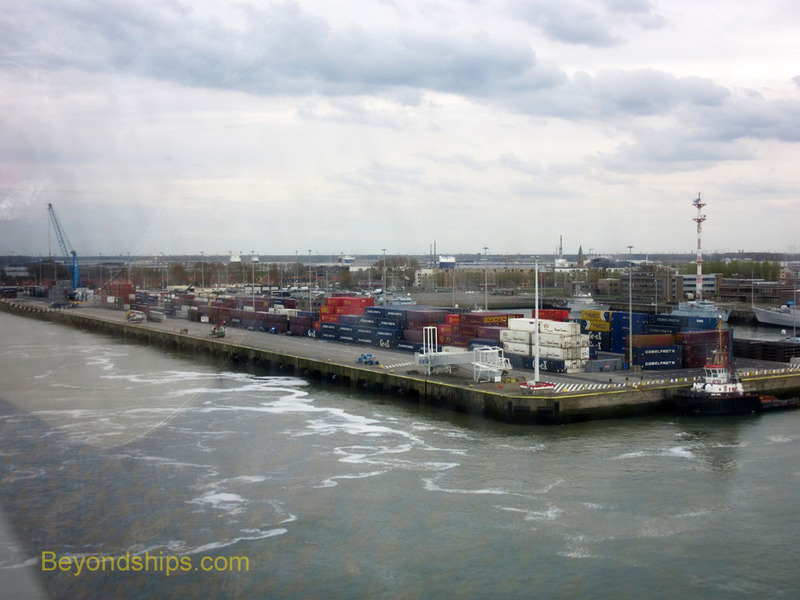 Although cruise ships frequently call in Zeebrugge, there is no dedicated cruise ship terminal at this time. The port does, however, plan to build a cruise terminal. Cruise ships normally dock at the Zweedse Kaal (Swedish Quay). Stacks of containers on the pier show that this area is also used by cargo vessels. Guests walk down gangways to go ashore. Coaches for the shore excursions line up beside the gangway. This is also where the shuttle buses pick up and drop off guests. 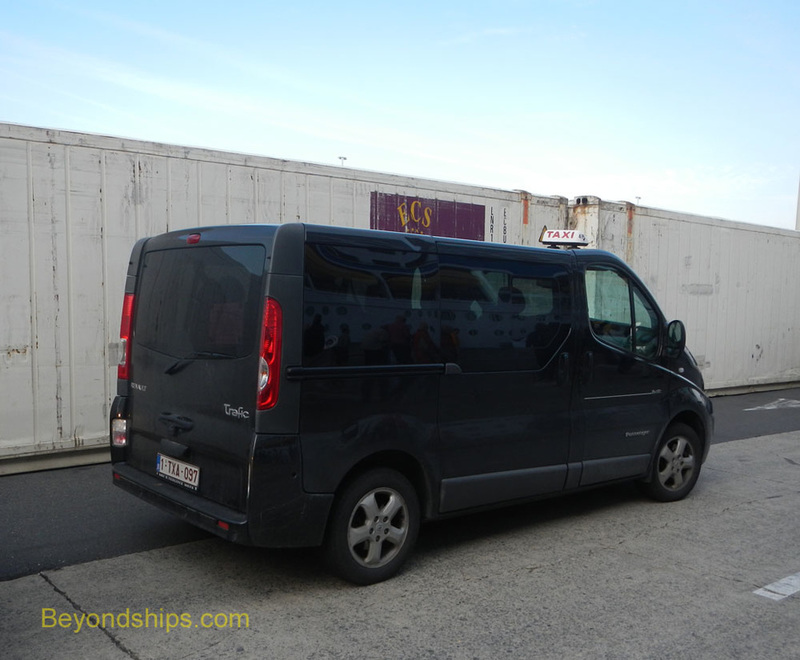 Usually, there will be a pay shuttle that takes guests to and from the neighboring town of Blankenberge. The port also has a free shuttle that runs to the port gate. From there guests can take local public transportation into town. Although it is not all that far as the crow flies, walking into or out of the port is not recommended because of the traffic in the port makes such a walk hazardous. There is not all that much to see in the communities surrounding the port. Guests go into town to walk along the wide wind swept beach or to see the Russian submarine and light ship that are open to view. Some independent travelers go into Blankenberge in order to take a train to Bruges or to other town in Beligum. Zeebrugge is approximately 11 kilometers from Bruges, 50 kilometers from Ghent and 100 kilometers from Brussels. 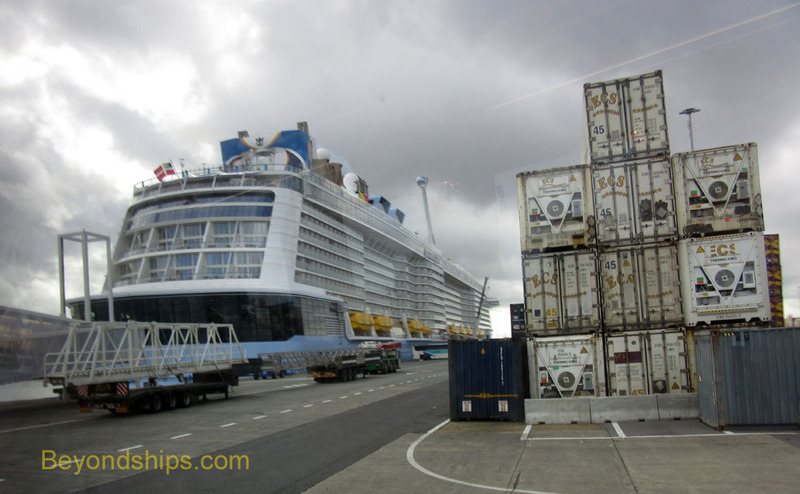 Above: Anthem of the Seas shares the pier with cargo containers. Below: A temporary ticket booth selling shuttle tickets to guests on Explorer of the Seas. Above: The neighboring town can be seen from the port. Below left: A cargo ship enters the port from a canal. Below right: A taxi waiting on the cruise ship pier. Click here for a review of a tour to Ypres.